ELEANOR is a sophisticated, fully lined, A-line shift dress. 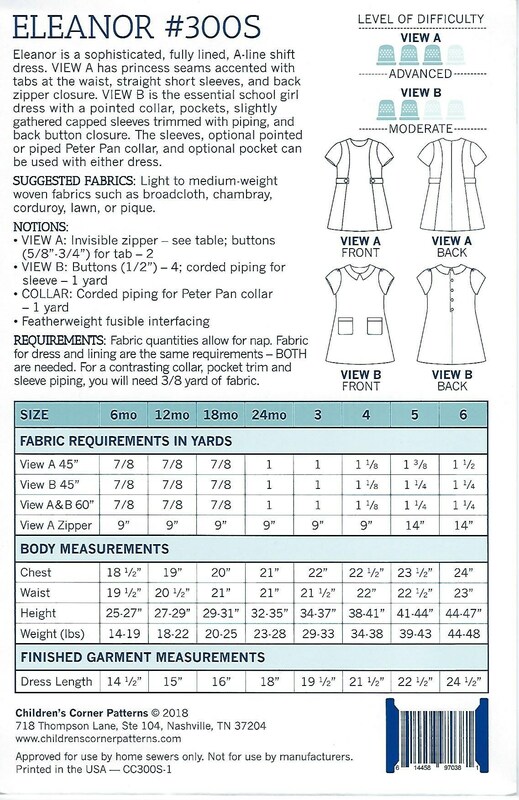 View A has princess seams accented with tabs at the waist, sraight short sleeves, and back zipper closure. View B is the essential school girl dress with a pointed collar, pockets, slightly gathered capped sleeves trimmed with piping, and back button closure. 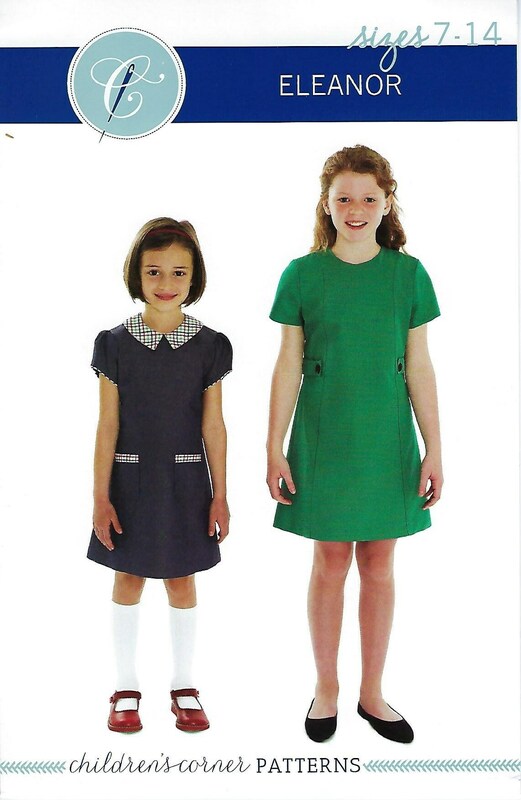 The sleeves, optional pointed or piped Peter Pan collar, and optional pocket can be used with either dress. 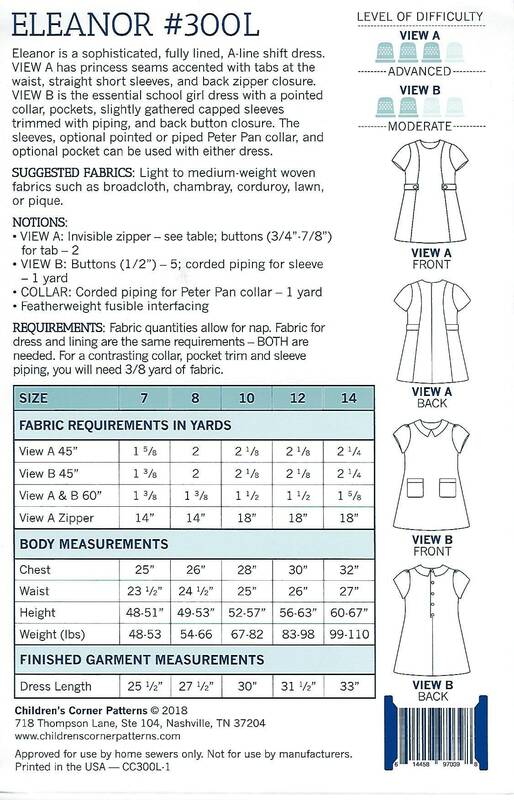 Love the pattern and looking forward to sewing it.